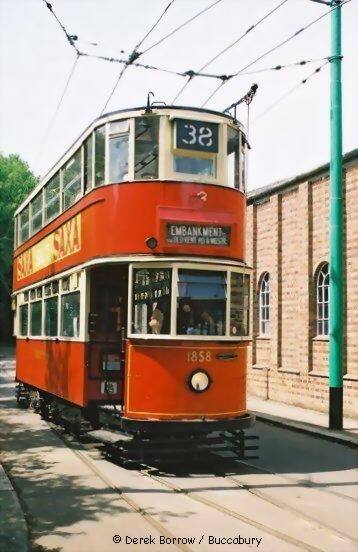 East Anglia Transport Museum - Side of the Tram Depot. 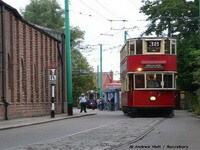 Ex-Blackpool Corporation 'Standard' Tram 159 of 1927 heads for Woodside past the depot. 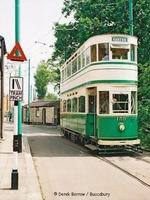 passing the preserved 'K1' Telephone Kiosk. 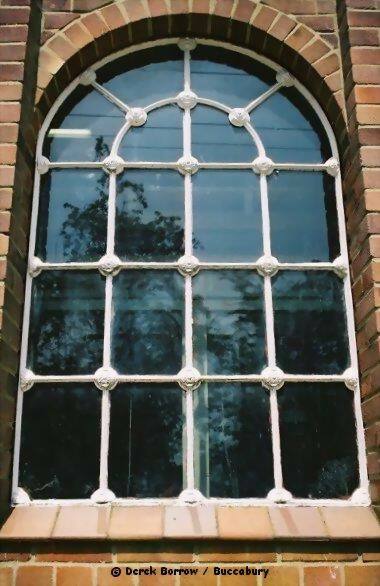 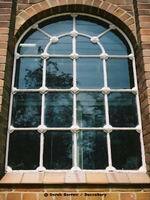 A shot of one of the Window frames of the Depot. 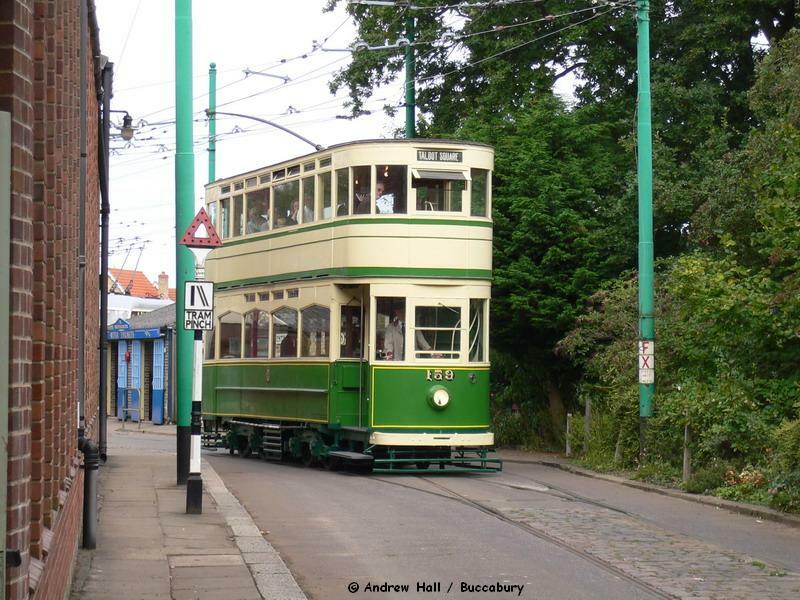 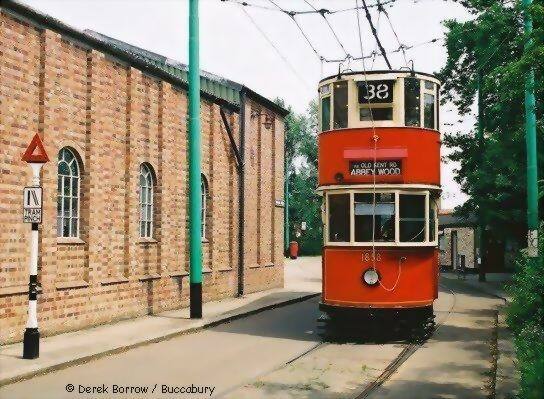 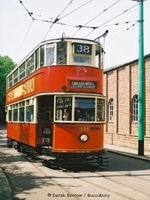 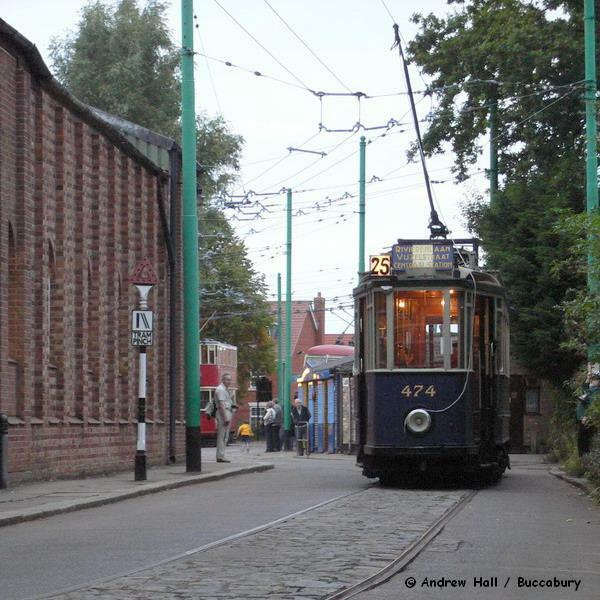 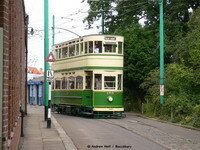 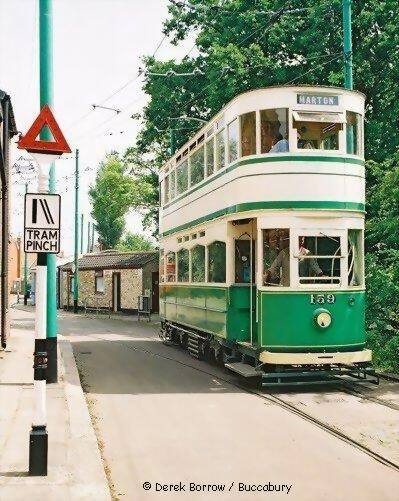 Ex-Blackpool Corp 'Standard' Tram 159 rounds the corner of the depot past the 'Tram Pinch' heading for Woodside. Ex-LT 'HR2' Tram 1858 rounds the corner of the depot past the 'Tram Pinch' heading for Woodside. 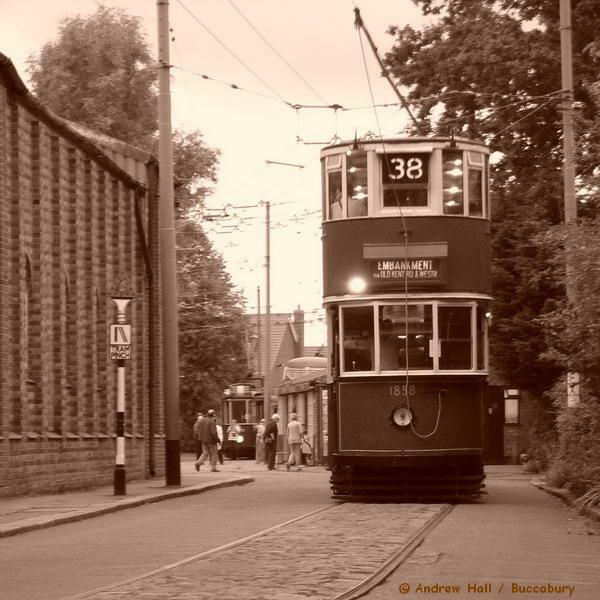 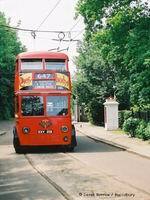 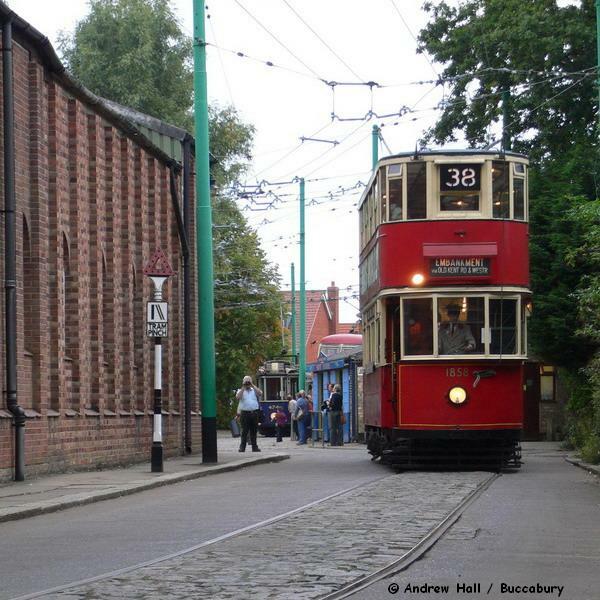 Ex-LT 'HR2' Tram 1858 passing the 'Tram Pinch' heading to the Chapel Rd Terminus.